The National Football League hopes to finalize a settlement agreement later this year that will provide monetary awards to former players who have or will develop neurological disorders as a result of brain injuries sustained while playing professional football. The N.F.L. has estimated that the settlement could cost the league more than $1 billion over a 20-year period. Skeptics claim the agreement doesn't go far enough. They argue that the eligibility requirements and award process is too rigid and that many players suffering from lower profile but debilitating neurological symptoms may not qualify for the assistance they need. The lawsuit has brought national attention to medical research linking concussions and other traumatic brain injuries to neurological disorders, such as Parkinson's disease, Alzheimer's, and chronic traumatic encephalopathy (C.T.E. ), as well as the long term health risks of playing football. At all levels of the game new guidelines and rules have been instituted governing the identification of concussion symptoms and the treatment of players exhibiting them. 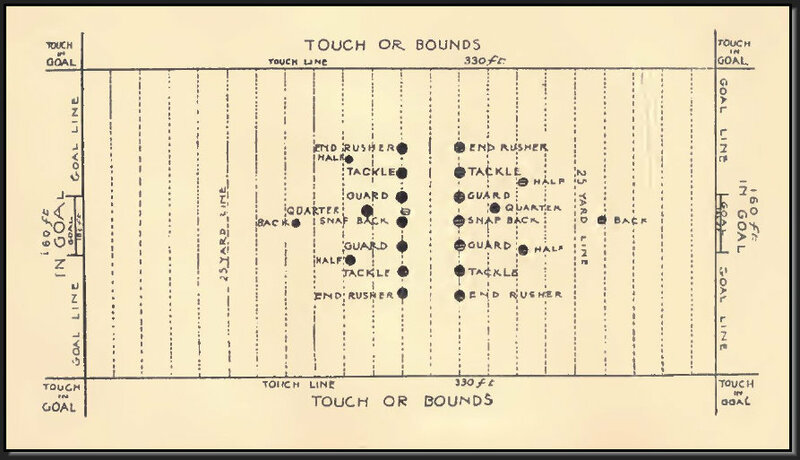 Youth players are now more vigorously instructed on proper tackling techniques and the N.F.L. and the N.C.A.A. have both adopted substantial penalties, to include automatic player ejections, for hits that are most likely to cause concussions. Equipment manufacturers have also been called upon to improve helmet designs to reduce the risk of brain injuries. In 2003, researchers at Virginia Tech-Wake Forest University School of Biomedical Engineering and Sciences began studying and recording impact data from sensors implanted within Virginia Tech football player helmets to better understand the forces exerted on the head and brain during games and practices. Under the leadership of Professor Stefan Duma, department head of biomedical engineering, the research team used data from over 155,000 impacts to develop laboratory tests that calculate the ability of football helmets to reduce the risk of concussions. First released in 2011, the Virginia Tech STAR Evaluation System is the most recognized testing criteria for football helmets today. While some question whether or not the STAR rating system oversimplifies concussion risk factors, it has lead to new advanced helmet designs as equipment manufacturers strive to achieve a 5-star STAR rating. While the jury is still out on whether or not these advancements will reduce the rates of concussion and intracranial injury, most doctors and experts agree that properly fitted helmets can reduce loss of consciousness associated with concussions. The 5-point custom fit air bladder inflation system in the Riddell Speedflex is state-of-the-art, but, it is by no means the first time pneumatic air chambers have been used in football helmets. For that distinction, you'd have to go all the way back to 1902, a failed helmet design, and a man whose ideas were a century ahead of their time. The marketing campaign for the new Riddell Speedflex masterfully displays these features in a video that rivals pre-battle scenes in the movie Gladiator. Born in Fairfield, Connecticut in 1858, Julian Curtiss joined A.G. Spalding & Brothers in 1880 after graduating from Yale University. 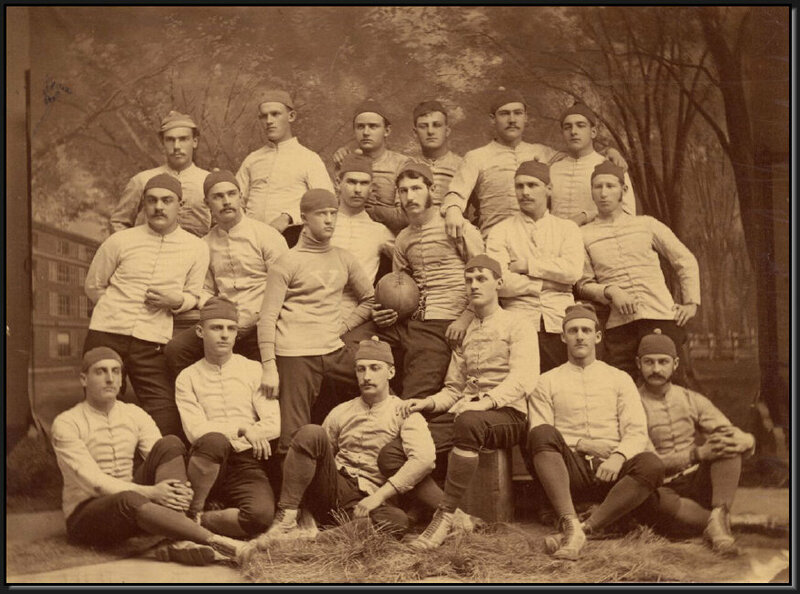 In 1892, on a trip to London to buy leather for the manufacture of footballs, Curtiss witnessed the sport of golf. Convinced the game would catch on in the U.S., Curtiss purchased a large quantity of golf clubs and balls for resale by Spalding to the American public. Initially met with skepticism by Albert Spalding, by 1893 the company was producing the Spalding Golf Guide. By 1894 Spalding began manufacturing their own clubs and by 1898 Spalding golf balls. 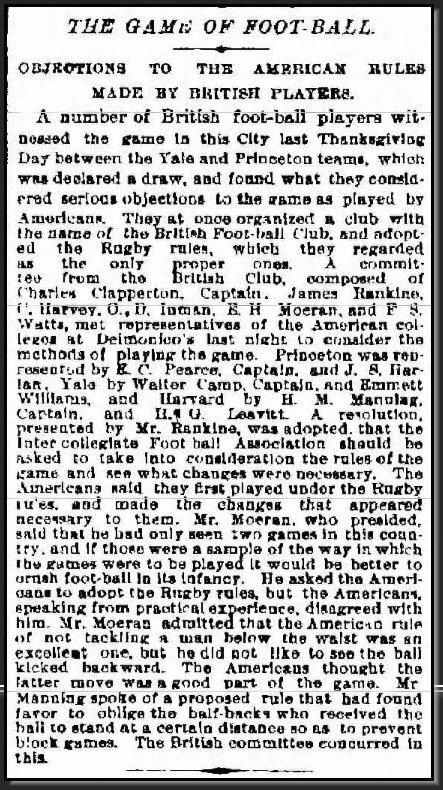 Curtiss continued to be instrumental in the growth of the sport by promoting the construction of new courses, importing British and Scottish players as pros and groundskeepers, and starting intercollegiate golf at Yale. Curtiss will forever be known as one of the most influential figures in bringing golf to the United States, but he was also instrumental in other sports innovations. He is credited with designing the first basketball with Dr. James Naismith, and was issued a patent for a pneumatic head-harness for foot-ball players on April 7, 1903. 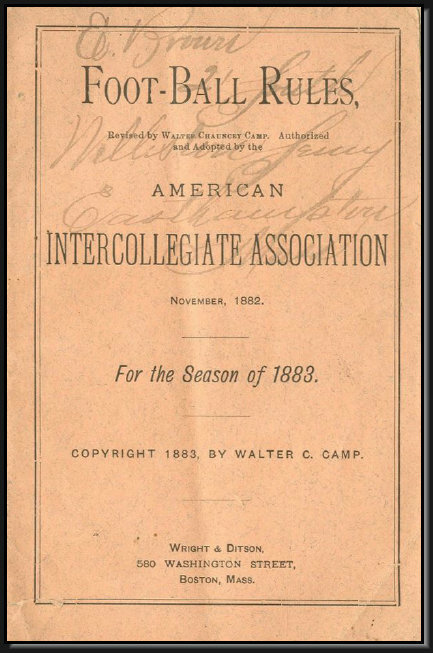 In 1903, the Intercollegiate Football Association outlawed the use of sole leather in football head harnesses. Rule 1. (e) If head protector's are worn, no sole leather, papier mache, or other hard or unyielding material shall be used in their construction, and all other devices for protectors must be so arranged and padded as, in the judgment of the umpire, to be without danger to other players. Julian Wheeler Curtiss , circa 1930. 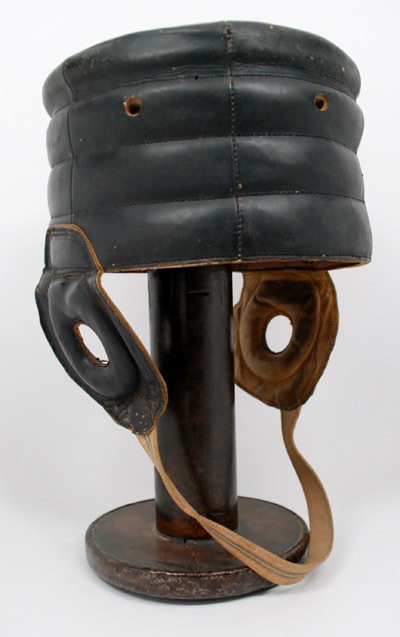 This invention relates to the head-covering worn by foot-ball players and intended to protect the head and ears of the players against injury from blows or otherwise. Various forms of head-covering for this purpose have been devised and have been used to a greater or less extent. 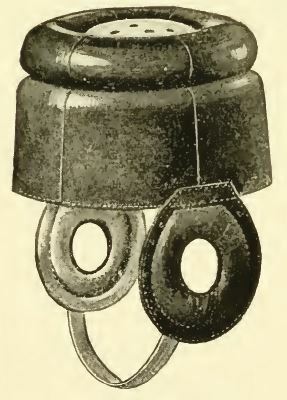 One form of such covering, comprising inner and outer shells, one of which fits snugly to the head, with the other, of relatively hard and tough material, is separated from the inner shell except at its edges, but well ventilated, the shape and the hardness of the outer shell being relied upon to prevent injury, has been generally used since its production and has been found to protect excellently the head of the wearer, although by reason of its unyielding character it has been somewhat uncomfortable to the wearer and has also been found under some conditions of the play to be somewhat dangerous to the opponents of the wearer. The protective covering a for the upper part of the head is a saucer-shaped cellular structure adapted to be inflated. Obviously such a structure may be formed in different ways, one approved construction being indicated in Figs. 2 and 3. In this the head-covering is shown as consisting of a series of concentric annular chambers b, communicating at intervals through comparatively small apertures c, so that the entire structure may be inflated without difficulty, while the displacement of air from one point to another will not be too readily permitted. A stem d may be attached at any convenient point for convenience in inflating. 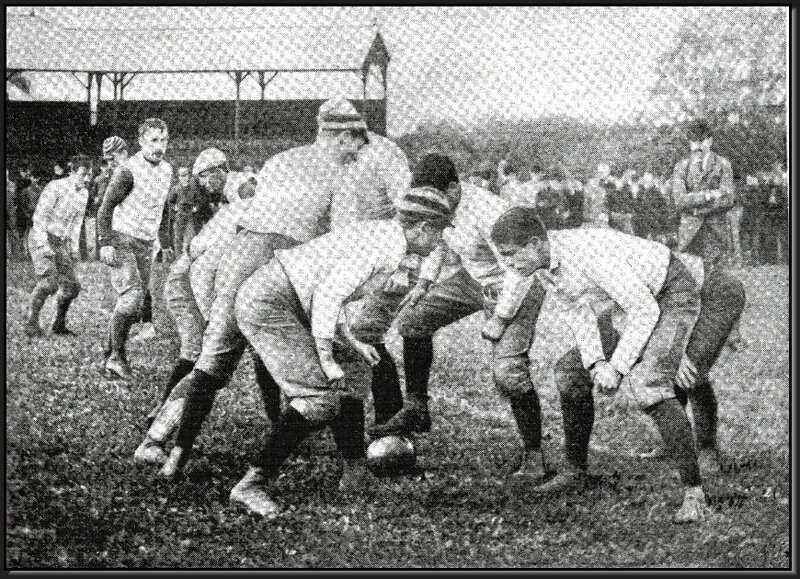 Formed substantially as described, with the head-piece relatively thin, but adapted to be inflated quite hard, the improved head-harness is light, reasonably cool, and quite comfortable to the head of the wearer, which it amply protects against any ordinary blow, while at the same time it is not of such a character as to cause injury to any opponent of the wearer. When Curtiss' invention debuted in the 1903 Spalding catalog, the No. 70 "Pneumatic Head Harness" was a significant departure from his original design. Instead of the Chicago style helmet design, Spalding applied his technology to a flattop head harness with a single circular inflation doughnut on top of the crown. Spalding touted the No. 70 as "one of greatest improvements that has so far been invented in the way of equipment for foot ball."